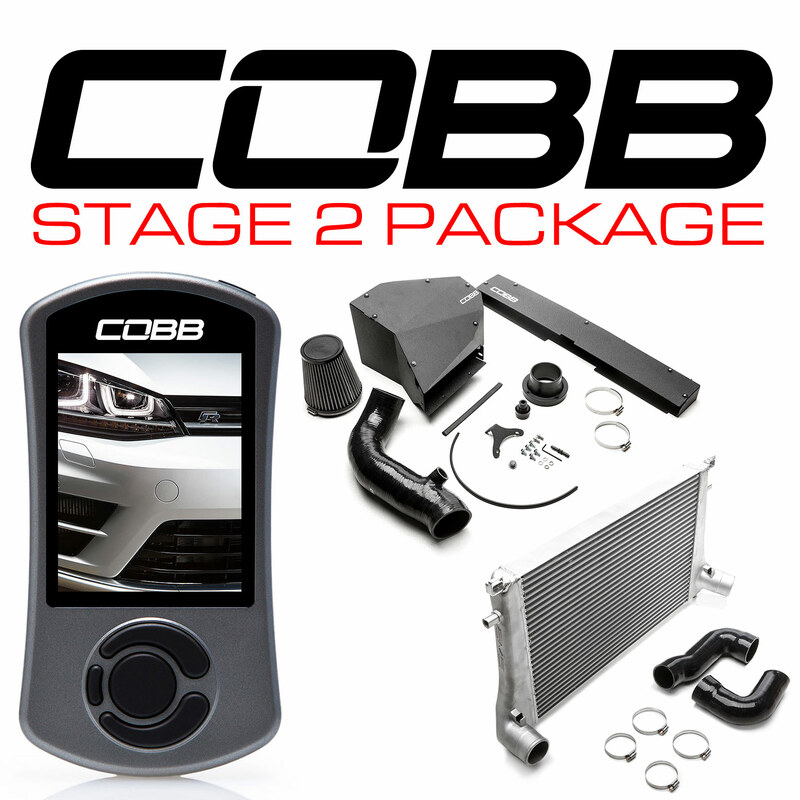 The Stage 2 Power package includes the COBB Accessport and Alpha Intercoolers. With this package installed, you would use the Stage 2 maps that are preloaded on the Accessport. These maps are specifically designed for a vehicle with upgraded Alpha intercoolers. AMS developed the Alpha Performance Porsche Macan Intercooler System to provide you the best cooling upgrade for your Porsche Macan. The goal was to provide the ultimate system in terms of quality, simplicity, fitment, aesthetic design, and of course, performance. 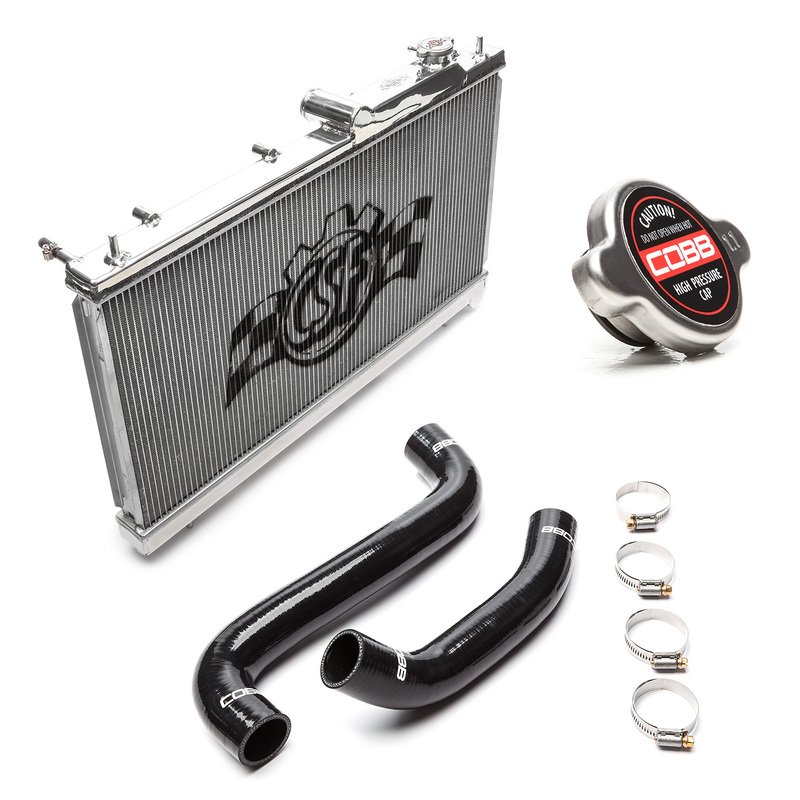 This system features the highest quality Bar and Plate Garrett Intercooler cores which are a full 43% thicker than OEM! Alpha’s massive cores give you the most power supporting intercooler upgrade on the market. Each of the two super thick 85.5mm Garrett cores provide an optimum fin density of 20 fins per inch for unmatched cooling. Channeling cool air to the intercoolers is vital for optimum performance of any intercooler. 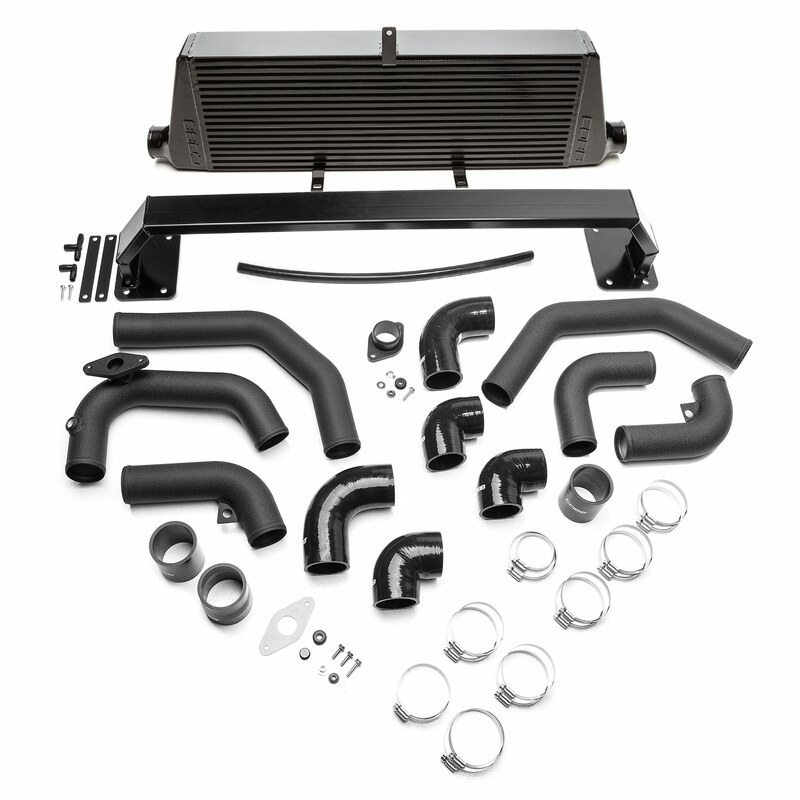 Some manufacturers choose to remove the factory intercooler inlets in order to cut costs. This greatly reduces the effectiveness of ANY intercooler whether it’s larger or not. Others require that you cut up and tape the factory shrouding to the intercooler core in an attempt to seal the shroud to the intercooler core. While this is better than removing the shroud, it is still not the most effective way to boost performance. Alpha’s Engineers came up with the ultimate solution. The Alpha Performance Porsche Macan Intercooler System features rigid, OEM-quality, carbon fiber ducts designed to mate seamlessly to the intercoolers feeding them cooler ambient air more efficiently than the alternatives. Each organic shaped carbon fiber duct is not only highly functional and designed with performance in mind, they are aesthetically striking as well. To further improve airflow, the AMS engineering team went a step further by computer designing precisely molded, custom silicone couplers. These provide perfect fitment and optimized geometry for improved airflow volume and velocity providing horsepower gains and quicker boost response helping you stay ahead of your competition! Perhaps the best feature about this intercooler system is that it maintains cooling efficiency as more power producing upgrades are added to your Porsche Macan! It improves the effectiveness of your other upgrades giving you maximum hp output potential! Check out the Stage 2 power gains below for each trim of the Macan. The Stage 3 Power package includes the COBB Accessport, Alpha Intercoolers, AND Alpha downpipes. With this package installed, you would use the Stage 3 maps that are preloaded on the Accessport. These maps are specifically designed for a vehicle with upgraded Alpha intercoolers and Alpha downpipes. The Porsche Macan’s two factory downpipes are extremely restrictive. AMS designed the Alpha Performance Porsche Macan Turbo downpipes to expel the large amount of air the Alpha filters were bringing in. They utilized the Solidworks Software program to design less restrictive transitions for the hot exhaust gasses. The creation of smoother organic transitions allows exhaust gases to flow more efficiently which lets your turbos spool quicker, delivering more power, faster. The Alpha Downpipes’ over 76mm diameter is 44% more area than the stock 63.5mm stock downpipes. With the end user in mind AMS Engineers designed the downpipes to bolt to OEM location with no cutting, drilling, or 02 sensor wire extensions. The Alpha Downpipes also were designed with heat management in mind. The Alpha Downpipes also feature laser cut heat shielding and a high flow Gesi catalytic converter which increases flow without compromising emissions or producing a check engine light. If you have ever been under the hood of a modern automobile you know the amount of unused space is next to nothing. Heat management, therefore, is a major concern. The Alpha Performance Downpipes give you piece of mind that any critical components in the engine bay will be protected by our custom laser cut heat shielding. Check out the Stage 3 power gains below for each trim of the Macan. 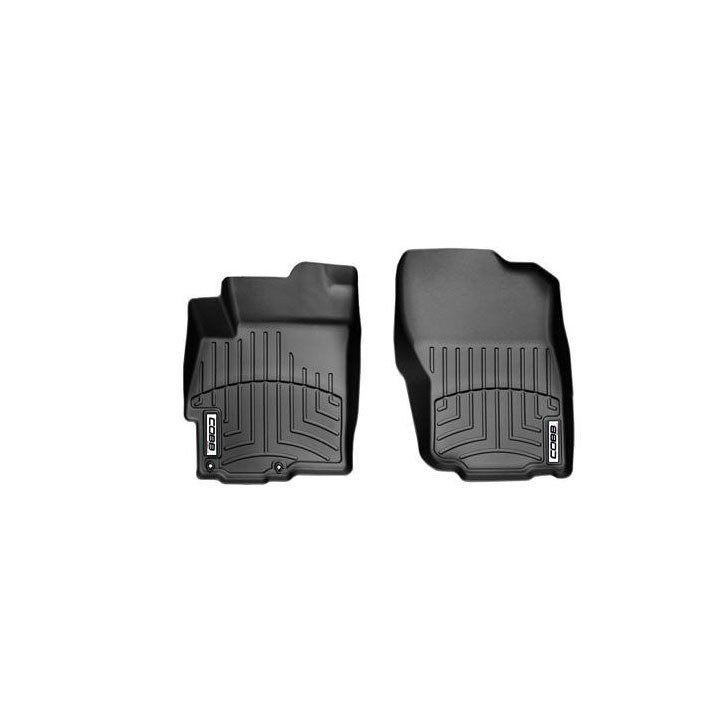 Already have an Accessport but still want these awesome upgrades? These parts are available separately without having to purchase an entire package. Once you have the parts installed, simply update your Accessport’s firmware to have access to the Stage 2 and Stage 3 maps! Bolts to OEM location with no cutting, drilling, or 02 sensor wire extensions. High flow Gesi catalytic converter increases flow without compromising emissions. Alpha Macan Downpipes can be installed without removing manifolds. Laser Cut Heat shields safely keep heat from unibody. Organic castings maximize space and reduce bends that hinder exhaust gas flow. I see you support the Macan Turbo, would there be a plan to support the 958.2 Cayenne S with the same engine? Thanks. There isn’t currently anything in the works to support that vehicle. However, it is something that may happen in the future. I don’t have any approximate timeframe as it would be a long ways away if support is ever created. Hi Kyle, i enjoyed my cobb ap with stage 1 98 RON 205 a lot on my Macan GTS. It boosted to 1.7 bar and gave a lot of whistles through my open F6 carbon air ducts :). But due to a planned service at my cpo I had to uninstall the cobb. After reinstalling my cobb today, I get no more than 1.2 bar of boost and almost no whistles. It is the same 205 map I re-installed. Do you have any idea what can cause this reduction of boost? The torque and power are also much less than before the reinstall. Can you help me out? Kind regards from The Netherlands! When you uninstalled it, you did flash it back to stock using the “uninstall” option on the main menu, correct? Are you sure you don’t have the Stage0 v205 map flashed? If neither of those is the issue, it’s possible during the service something was altered and is causing a boost leak. If none of this is helpful, please send us an email to support@cobbtuning.com and we can help you troubleshoot further!